Black ribbed high waisted pants! Perfect to lounge in or go out in! Short black denim overalls. 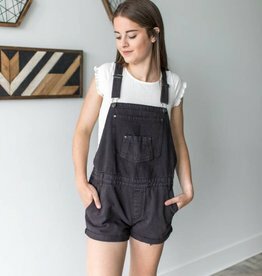 Spice up your summer wardrobe with these overalls to wear over a bathing suit or a cute tee shirt! Make your pant dreams come true!